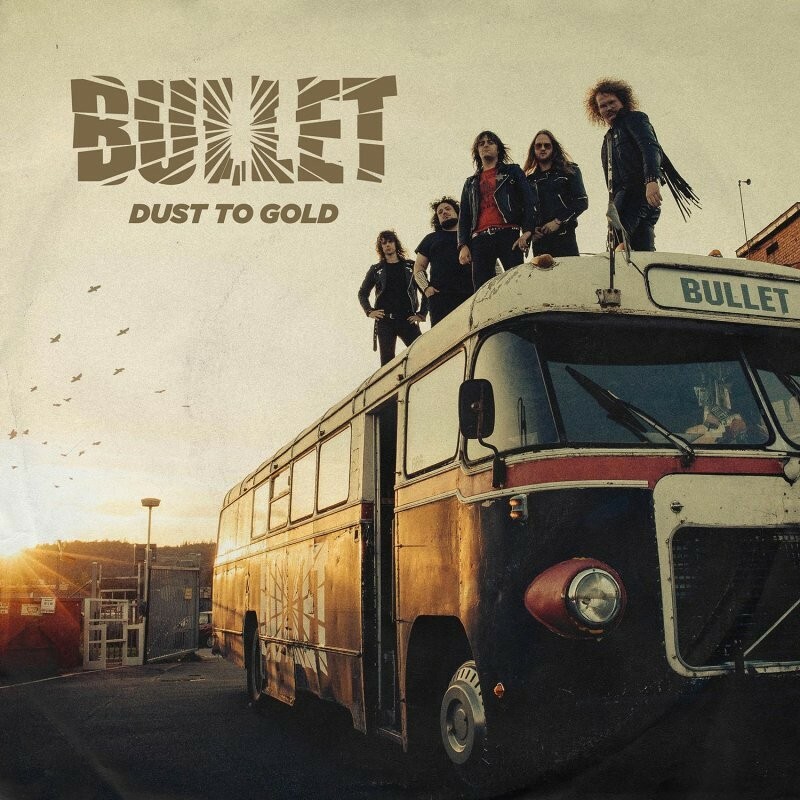 This is the sixth album from Bullet who hail, like a lot of bands lately, from Sweden (Vaxjo) and they have been on the scene from the early noughties. They've opened for AC/DC in front of fifty-five thousand people and played the Euro Festival Circuit, including Sweden Rock, Rock Am Ring, Graspop, and Wacken (twice) to name but a few. All their gigs get travelled to in their sixties Volvo Tour Bus... love it! 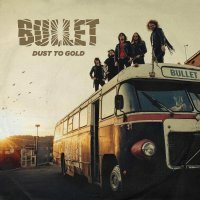 'Dust To Gold', whilst having been recorded in 2017, takes me back to the eighties as this album could easily have been launched at the peak of NWOBHM. If I close my eyes, I could be in the Ruskin Arms, eighties Rock City, The Mayfair or, of course, The Marquee. The album pays homage, albeit unintentionally, to all those great acts we, or some of us, used to see back in the day. From the opener 'Speed And Attack', through the powerful 'Fuel The Fire', to the slightly slower 'Wildfire', I love this album! The title track and the aforementioned 'Wildfire' have an almost Heaven & Hell feel about them. It's classic eighties Metal (or Rock – call it what you like), but with solid production that brings the whole style up to date. As soon as I slid the album into the player and pressed play, my air-guitar took hold; you can't help getting into this album. The band cite AC/DC, Judas Priest, Saxon, Accept (there are lots of classic Accept grooves here), Rose Tattoo and Motörhead amongst their influences, and you fully understand why when you listen to the album. This is first-class Classic Metal, but not ridiculously heavy, just nicely balanced. Now, it's time for me to change the strings on the air-guitar and press play again.